Anyone who has ever spent time in Big Sur, on the rugged Central Coast of California knows the magic it holds. Misty redwoods, wildflower laden mountains, and commanding cliffs plunging dramatically into the sea are a recipe for absolute splendor. Though there are no shortage of fabulous accommodations lining this stretch of Highway 1, one remains a perennial favorite, Post Ranch Inn. 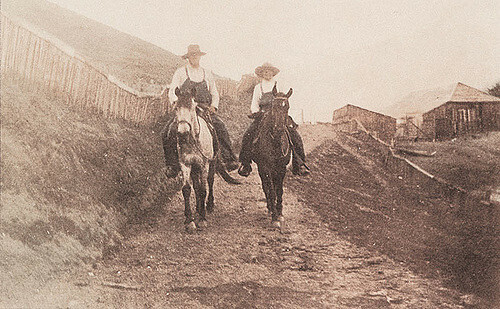 Originally founded in 1848 by William Brainerd Post of Connecticut and his wife Anselma Onesimo from the Costanoan tribe, the 640-acre ranch was one of the first homesteads in Big Sur. It was worked as a hog and cattle ranch for well over a century. Generations later, as ranching fell into decline, Post's great-grandson Bill would be approached by a close friend and neighbor to turn Post Ranch into an eco-resort that preserved the history and integrity of the land that his great-grandfather so fell in love with. The deal was famously sealed over a shot of Jack Daniels (now the hotel's signature drink), and Bill himself (below) drove the excavator to break ground for the resort. Bill lived the rest of his days on the ranch, joining guests on the porch for breakfast in the morning and entertaining with stories of Big Sur in his youth. He would die in 2009 at the age of 89, long enough to see his family's land transformed into a world renowned resort and oasis of calm and peace. 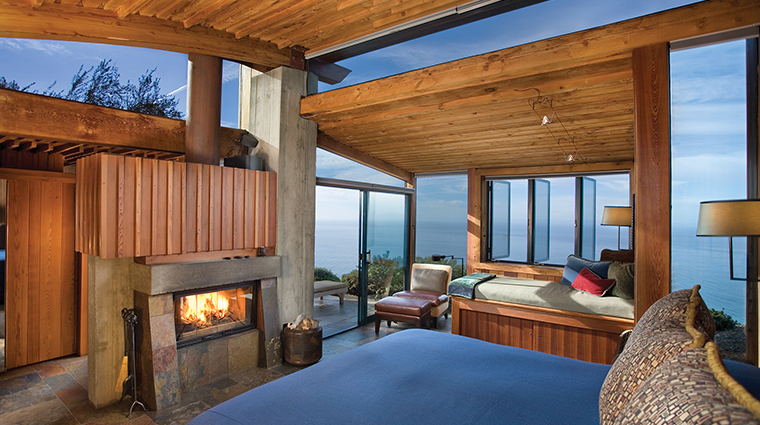 Room names pay homage to the Post family and the original Big Sur pioneers. Mike Freed, the Ranch's owner and the gentleman who shared that drink with Bill in the early 1980's had a vision for the Inn, that included architecture inspired by and conscientious of the landscape. During construction, no redwoods were sacrificed to make way for guest cottages. Instead, architect Mikey Muennig practiced "organic architecture", embracing sustainability and the natural beauty of the sites themselves. In fact, Muennig would spend time before construction sleeping at the site of future guest cottages, taking in the way the sun struck the site, and gaining inspiration for future windows, views, etc. As a result, many rooms are cantilevered, propped up on stilts or feature curved walls or green roofs that tie into the surrounding mountain landscape. Primary materials of wood, metal, and glass beautifully reflect the colors of the coastline and offer sweeping views of the ocean, where if you're lucky a whale might surface for a show. Solar panels power the resort, and no plastic bottles are to be found anywhere on property. While reservations aren't easy to come by, it's clear when you arrive on property why this place is worth the wait. There's nothing quite like Big Sur.